Well, it’s not going to win the Nobel Prize, but this little invention is one of those few that makes you think “wait, how come I didn’t think of that?” I mean, who uses those little strings anyway? Lots of people just take ’em out. They’re vestigial, is what they are. Why not let the hoodie evolve? And a few whiteboard sketches later, there’s the HoodieBuddie. Get it, because of the earbuds? 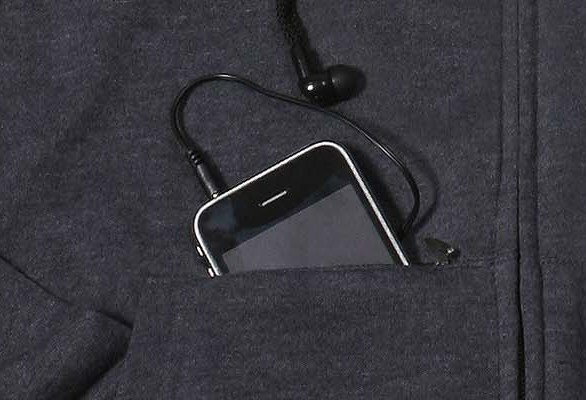 In the front right pocket, you’ve got your 3.5mm jack, which runs inside the hoodie up to the little earbud-things. Brilliant! The good news: it’s machine-washable, so no need to worry about taking the tech out if you spill coffee on yourself. 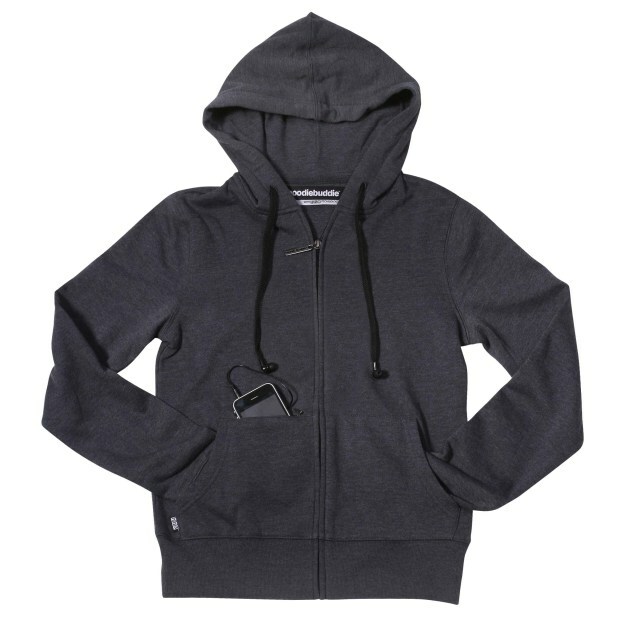 The bad news: people will think you are insane, because you have your hoodie strings plugged into your ears. The other good news: they’re only going to cost $44 — just slightly more than your average hoodie. They’ll be available starting July 1st at HoodieBuddie.com.